The methods developed by the laureates have been put to work to create new enzymes and antibodies used in promoting a greener chemicals industry, mitigating disease and saving lives. Arnold, of the California Institute of Technology, was recognized for performing the first-ever “directed evolution” of enzymes — proteins that catalyze chemical reactions — to see if they could be tailored to work differently, for example in new environments. Arnold directed an enzyme’s evolution by introducing genetic mutations to create multiple variants of a chosen enzyme. She would then see the effect each mutation had and choose the variants that could prove to be useful, such as one that could operate in a solvent, rather than a water-based environment. The American scientist and engineer becomes only the fifth woman ever to have won the prize, following Ada Yonath in 2009, Dorothy Crowfoot Hodgkin in 1964, Irène Joliot-Curie in 1935, and her mother, Marie Curie, in 1911. Smith, a professor at the University of Missouri, won for a technique known as “phage display,” which uses bacteriophage — a virus that infects bacteria — to evolve new proteins. Bacteriophage infects bacteria in order to reproduce. It inject its genetic material into bacteria and seizes upon the metabolism of the bacteria to produce more of irtself. Smith genetically engineered the bacteriophage, inserting unknown genes to see what proteins would be made, as the proteins would end up displayed on the surface of the phage. Winter, of the University of Cambridge in the UK, then harnessed that method and used it to direct the evolution of new antibodies — immune proteins that bind to and neutralize pathogens such as bacteria or viruses — with the aim of making new drugs. He built up a collection of phages, with billions of antibody varieties on their surface, and engineered them make them more effective. The first pharmaceutical created using this method was adalimumab, approved for use in 2002, which is used to treat rheumatoid arthritis, psoriasis and inflammatory bowel diseases. Phage display has since been used to produce antibodies that can neutralize toxins, counteract autoimmune diseases and cure metastatic cancer. 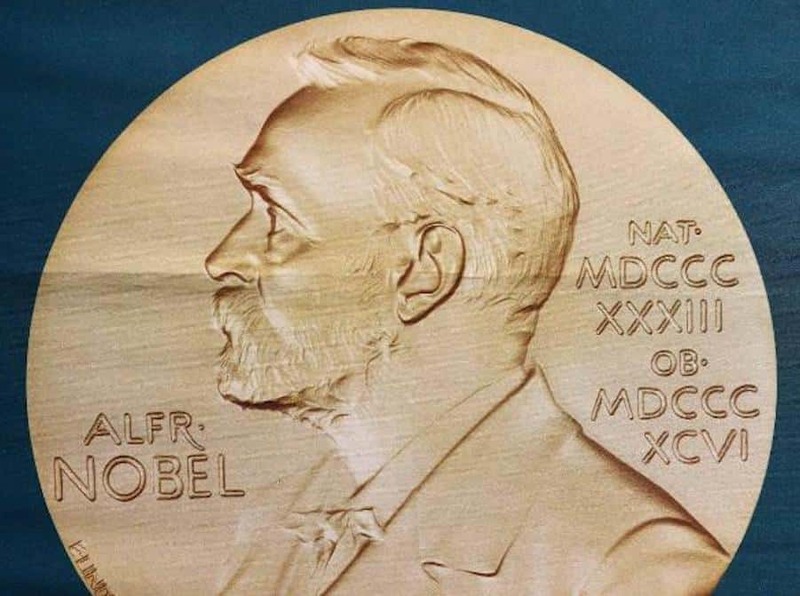 “Today’s Nobel Prize in chemistry highlights the tremendous role of chemistry in contributing to many areas of our lives including pharmaceuticals, detergents, green catalysis and biofuels. It is a great advert for chemistry to have impact in so many areas,” said the Royal Society of Chemistry president, Professor Dame Carol Robinson.